For shame. 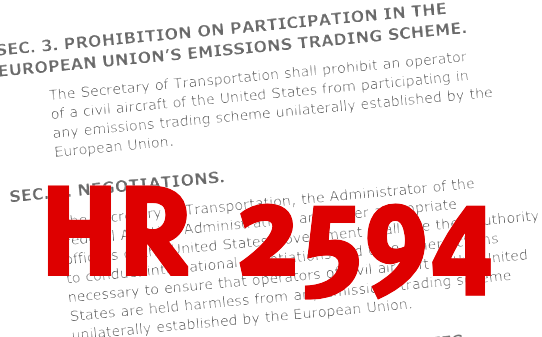 The US House of Representatives has passed HR 2594, a bill that would literally ban American airlines from following European Union climate pollution laws. It passed by voice vote, meaning there’s no record of each representative’s position. If this legislation gains traction in the Senate, it might spark a trade war with the European Union.